Over 40% of care home residents describe themselves as lonely. Our project Action on Loneliness created opportunities for care home residents and local people to become friends. Our project Action on Loneliness created opportunities for care home residents and local people to become friends. This year long pilot project was commissioned by the London Borough of Tower Hamlets, as part of their initiative to improve the well-being and happiness of care homes residents in the borough and build local community by uniting younger people with the older generation. 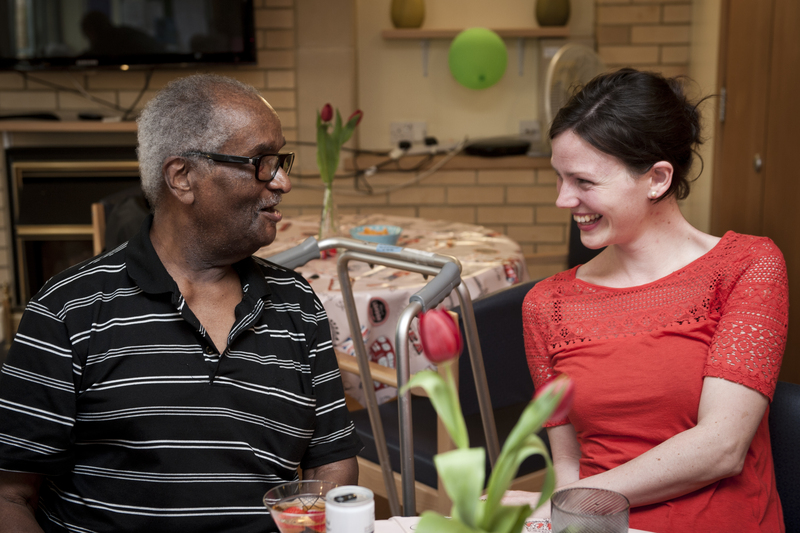 We matched up all kinds of people to volunteer and meet regularly with care home residents with similar interests. Sporty volunteers popped in to watch the football results with sporty resident. Others helped residents create a playlist of their favourite music. Whilst others enabled residents to use an Ipad to read the news together and discuss current affair or even visit their childhood home via Google street view. Bengali speaking volunteers were matched with Bengali speaking residents, providing a vital opportunity for a weekly chat. In all over 50 residents and volunteer partnerships have been matched up across 6 care homes in the borough. Although this partner project finished in October 2016, many of the volunteers and residents have continued to meet up each week supported by the care home staff. I am completely over the moon with the progress I can see in Jim. The fact that before he would never come out of his room and his notes stated “bed ridden”…I just cannot believe this is the same man. We would like to thank My Home Life a UK-wide initiative promoting quality of life in care homes for older people, who provided advice and support in the evaluation of this project.